Every July in Evart Michigan, the largest hammered dulcimer gathering in the world is held by the Original Dulcimer Players Club (ODPC). 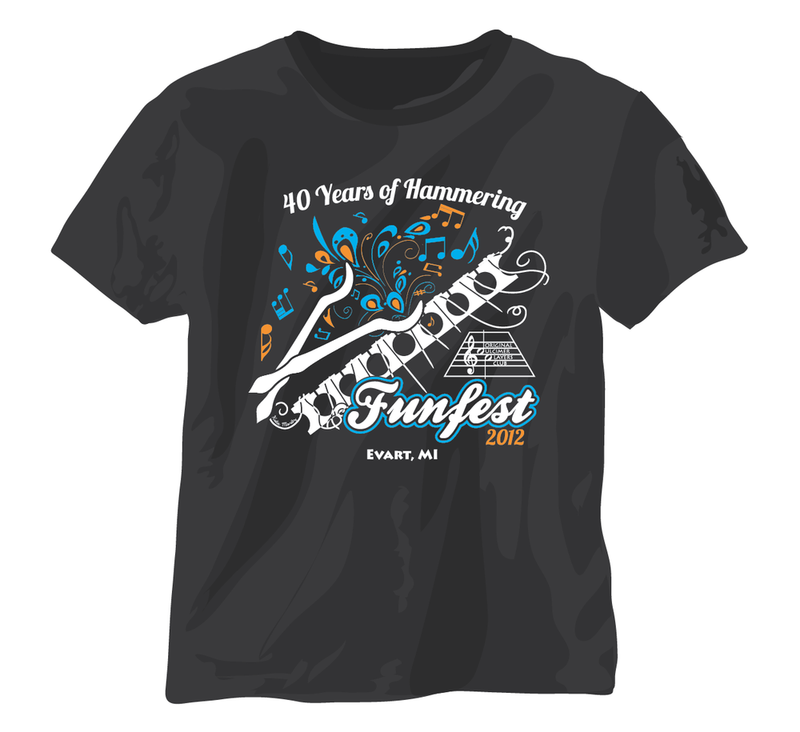 I've been attending this festival for 7 years and finally I joined the club and submitted a t-shirt design for their 40th anniversary. From what I could tell, it wound up being a fairly popular design for them! It was neat to see what the printers did with the idea. The majority of shirts were 2 colors. But they printed some gold foil designs. Those were really cool. They also used the designs on canvas bags and hats, which had not been done before. My professional philosophy is that design is valuable. I don't do much for free anymore. When I debate doing a free project, I have to weigh the work vs. the rewards and generally, recognition is the best reward you can get. I didn't get a whole lot of recognition for designing these T-shirts, but this was really a fun project and after attending the 41st festival, it was rewarding to see so many people STILL wearing my design. Original Submission containing 1, 2, and 3 color options.